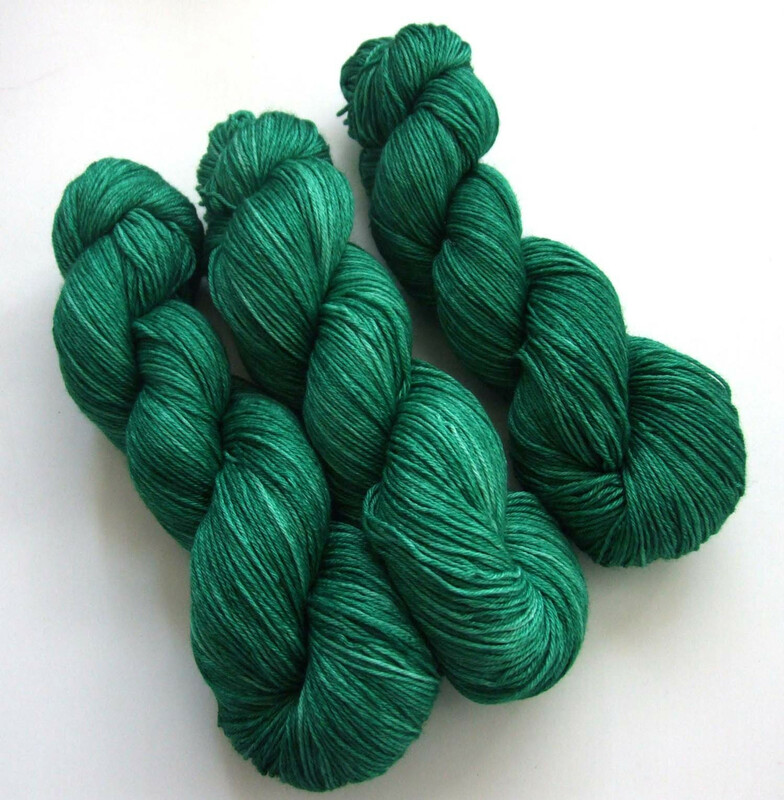 This extremely shiney yarn is gloriously soft to the touch and made up of 50% merino and 50% silk. The yarn is sock weight and perfect for small garments, shawls and scarves. The yarn has been reviewed by knitters and will shortly appear in the October 2012 edition of Knit Now magazine. We have got together with the Skein Queen who has come up with an exclusive set of jewel-like colours for us at The Yarn Cafe. Please note that the yarns are in limited supplies.